The aim of the project is to bring together young researchers interested in observing security policy issues of Central Eastern Europe. After the Russian aggression against Ukraine and the annexation of Crimea, NATO member-states agreed on an urgent need of developing defence capacities during the Wales Summit (2014). Therefore, they adopted the Readiness Action Plan, the implementation of which is coming to an end soon. Establishment of the NFIUs in CEE countries, the high-visibility exercises in the Eastern flank and deployment of VJTF troops shows the effort both Hungary and Poland provided in order to strengthen NATO as a robust, ready and rapid military alliance. Despite the efforts, most of the NATO countries still contribute less than 2% of their GDPs for military budget, while the airspace defence of the Baltic area and effective counter-measures against Russian A2/AD activity is a question for the future. PfP and NATO enlargement also have their strategic importance for Poland and Hungary as well. Although front-runners as Georgia, Ukraine and Moldova contributed above expectations, they are still waiting for more than an offer of a Membership Action Plan. 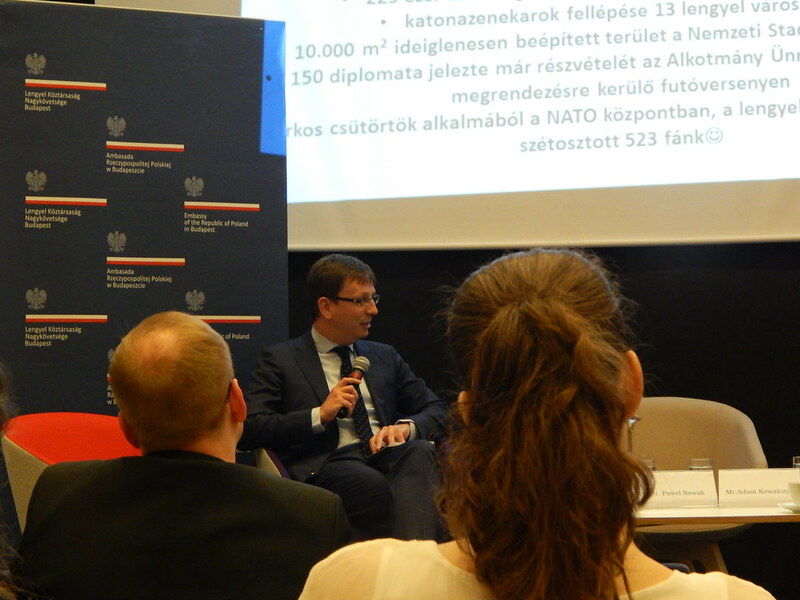 Hence the name of the project: “Ahead of Warsaw Summit Polish-Hungarian perspectives on challenges of NATO.” The aim is to make discussions on various topics related to the Alliance, one month before the actual NATO Summit. The main panels of the joint discussions will focus on implementation of RAP after the post-Afganistan landscape of NATO. The secnod panel will deal with budgetary restraints and challenges for defence planning and/or joint procurement initiatives, while the last panel will focus on how Central European countries and more closely Poland and Hungary can help the process of Euroatlantic integration of PfP countries. Finally, the discussions should draft main areas where Central Europe and PfP countries can improve and enhance their cooperation with a special emphasis of the defence sector, regional integration and cross border cooperation. The event currently planned will focus on the most recent political developments in according to NATO issues, the road from Newport to Warsaw. The invited speakers will carry out a joint assessment of the situation in front of an audience, but also with a view to producing a brief written report which CSFAC will edit and make available online, to distribute the results further and at the same time promote the young researchers involved as members of a network that the two countries can continue to rely on in the future as a useful resource. CSFAC intends this initiative to be a vehicle for the regional cooperation of young researchers and practitioners. The concept behind the currently planned event is flexible to a sensible degree to be able to accommodate changes of the regional agenda in coming years, in future editions of the event. Thereby it can eventually serve to enhance foreign policy goals of the two countries, Poland and Hungary, within and even outside the framework of the Eastern Partnership by strengthening the civil society cooperation on the field of foreign policy, too.